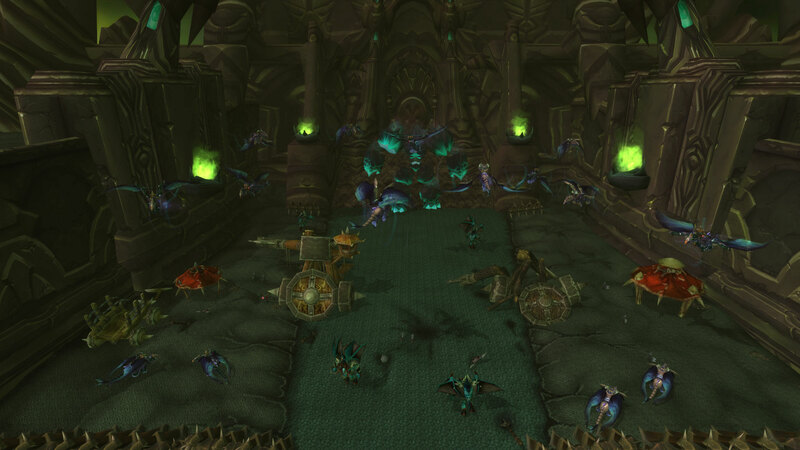 The Black Temple, Dungeon Finder and Patch Update have been released! ATTENTION! To ensure that you have no issues ingame, you are advised to update your Patch-4.mpq with the new one either from the Downloads section on the website (Version 3.0, not 2.0), or here, and delete the Patch-9.mpq, and Patch-6.mpq (basically any patch from Patch-4+). A thread regarding the Arena Season End, the next updates and our future plans will be posted in a few days. The instance is properly updated to level 255 stats and balanced accordingly. The Dungeon Finder is used to group up players of various Tiers for our custom dungeons. For Guide and Information about the Dungeon Finder please check out this thread. Make sure to read the top of the page for critical information about the Patch. We have updated our Patch-4 and merged it with the Patch-9. The Patch-4 now includes all the item and creature models from Warlord of Draenor and Legion, and a handful of creature models from Battle for Azeroth, along with updated and new Races such as Void Elves, Lightforged Draenei, Nightborne Elves and Zandalari Trolls. We have also remade the Cataclysm and Mists of Pandaria item and creature models to fix their visual issues. The Login Screen has also received an update, changing it to more resemble Black Temple. Last edited by Jinha; 3 Weeks Ago at 05:34 PM. ¿Puede decirme cómo descargar y cómo actualizar mi parche 4? Last edited by undioshades; 3 Weeks Ago at 06:56 AM. Will be add in DF some raids ? Or can't add? With the release of t10.5, will you be putting t9.5 tokens on the premium vendor just as there are tokens for Ulduar, or no? where i download the new patch? TOC has the blood badges available for purchase on the premium vendor, will Ulduar acquire the ability to purchase Kirin Tor badges?